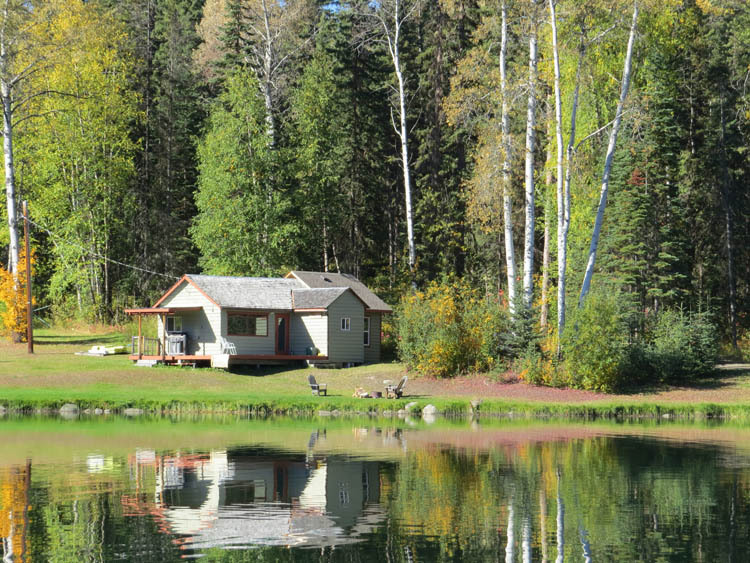 Sleeps 4 – 8. 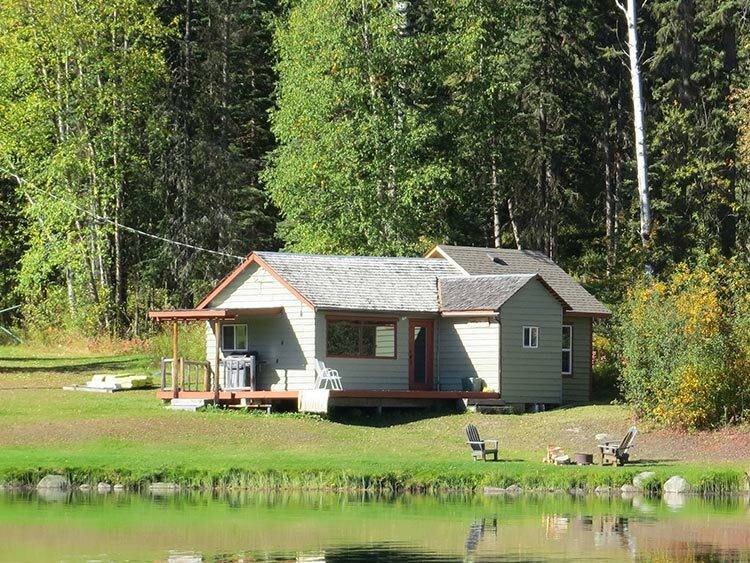 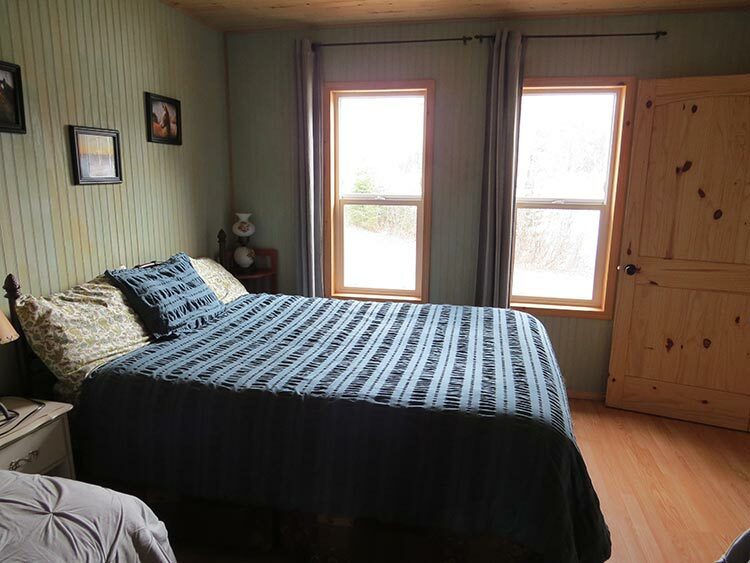 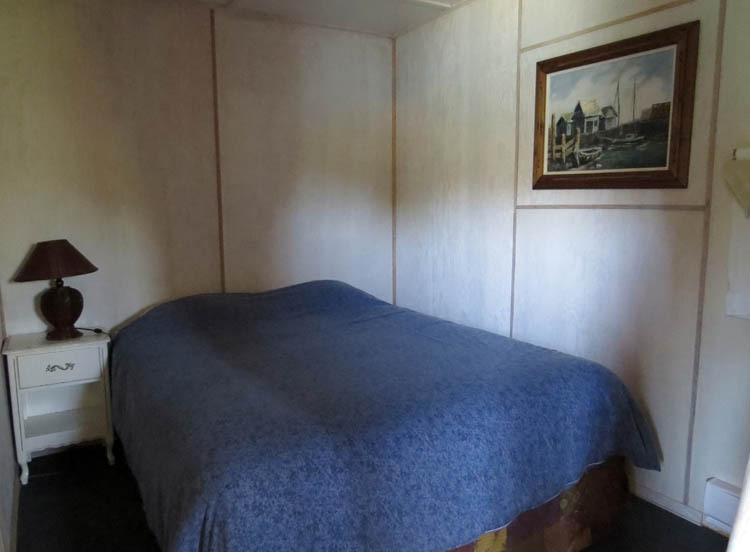 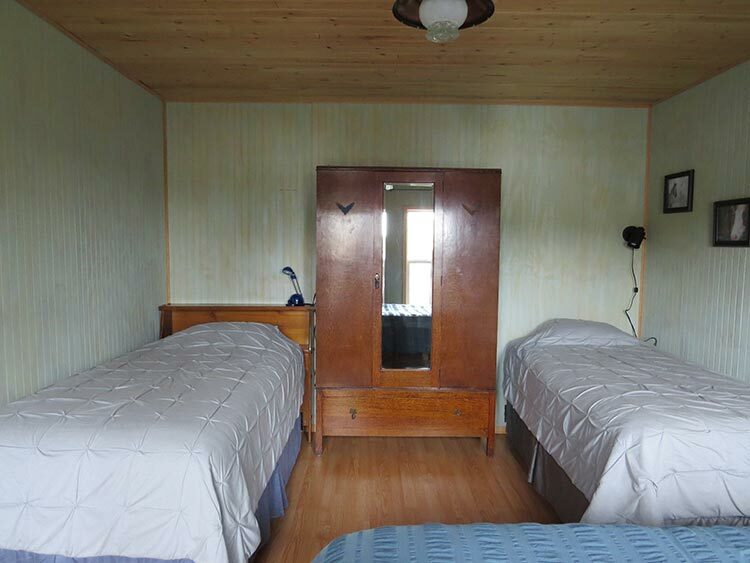 Inviting 2 bedroom cabin – perfect for the larger family or guys/gals weekend. 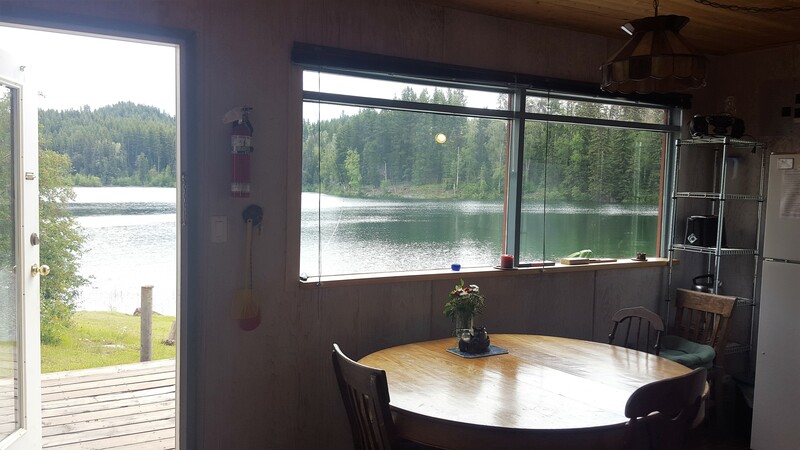 Great location very close to the water. 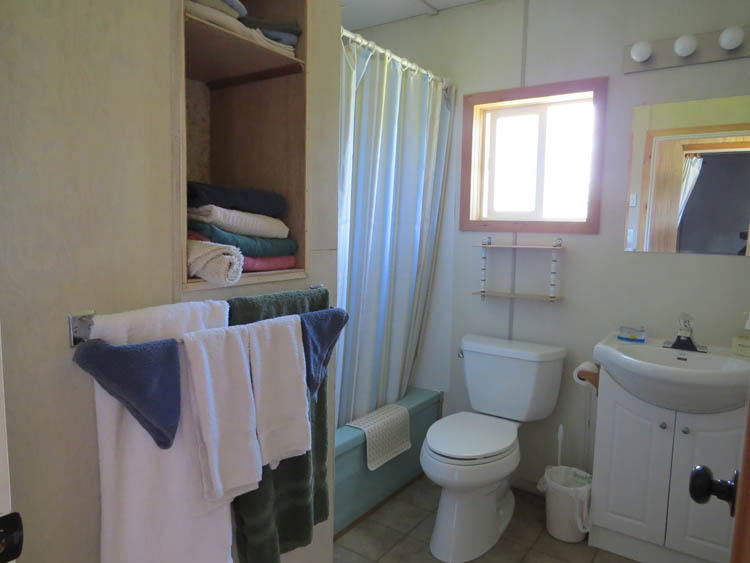 Full bathroom with tub/shower; Combination kitchen/living area with futon. 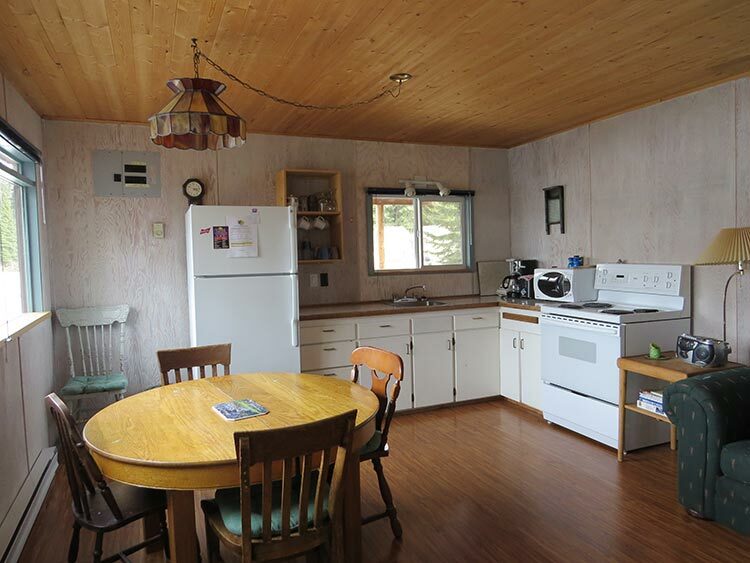 Kitchen hosts a large fridge, full size stove, oven that can fit a large turkey, microwave; Large bedroom with 1 queen bed and 2 single-long beds (fits taller people); Small bedroom with queen bed; Electric baseboard heat; Sundeck with gas barbecue.